There’s a lot going on in February, so let’s get right to it! Below is a roundup of Camino-related events and hikes in the San Francisco Bay Area. Join the Silicon Valley Chapter of American Pilgrims on the Camino (APOC) for an evening of Camino talk. 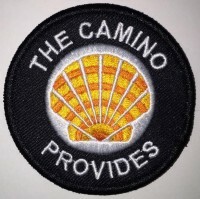 Camino veterans will discuss their equipment and clothing, including what worked, what didn’t work and why. They will also answer your questions and talk about what to expect when on the Camino. Register online or call the store at 650-969-1938. Tuesday, February 6, 6:30 – 8:30 p.m.
Register online or call the store at 831-883-8048. Wednesday, February 7, 6:30 – 8:30 p.m.
Register online or call 650-508-2330. Saturday, February 3, 10:30 a.m. This is an informal gathering that takes place on the first Saturday of the month, rain or shine. 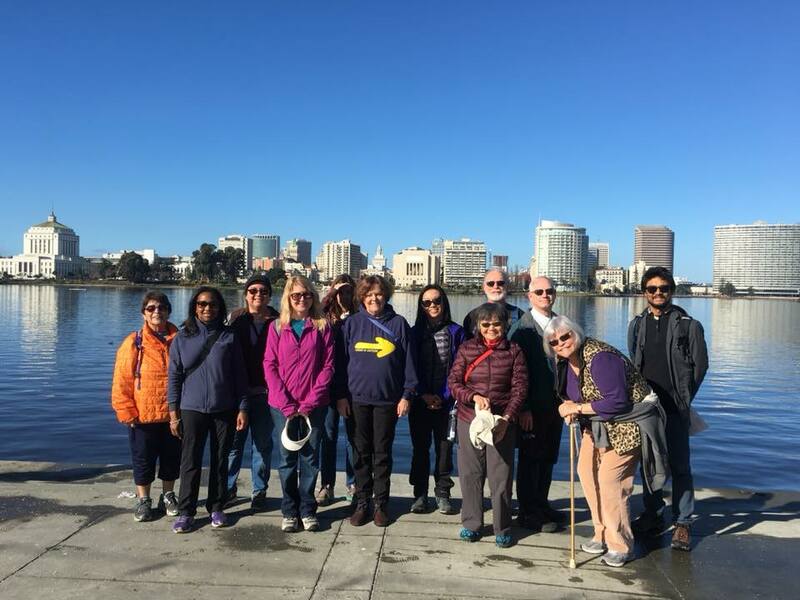 The group meets at the pergola on the east side of Oakland’s Lake Merritt at 10:30 a.m. and starts walking at 10:45 a.m. in a clockwise direction around the lake. It is a paved and level 3.3 mile walk and takes about an hour. Afterward, there is an optional gathering for lunch at a restaurant in the neighborhood. Whether you’re a newbie or Camino veteran, everyone is welcome at these monthly walks. Join Berkeley Path Wanderers Association on a 7.6-mile hike, starting on busy Claremont Ave. and continuing toward the tranquility of Claremont Canyon. We’ll start up leaf-padded Willow Trail, climbing through a small redwood grove to Grizzly Peak. After we crest the ridge, we’ll descend on the Skyline Trail into Sibley Volcanic Regional Preserve and then climb to Skyline Blvd, crossing bridges and a creek and passing an old wrecked car and a variety of trees. Read more. 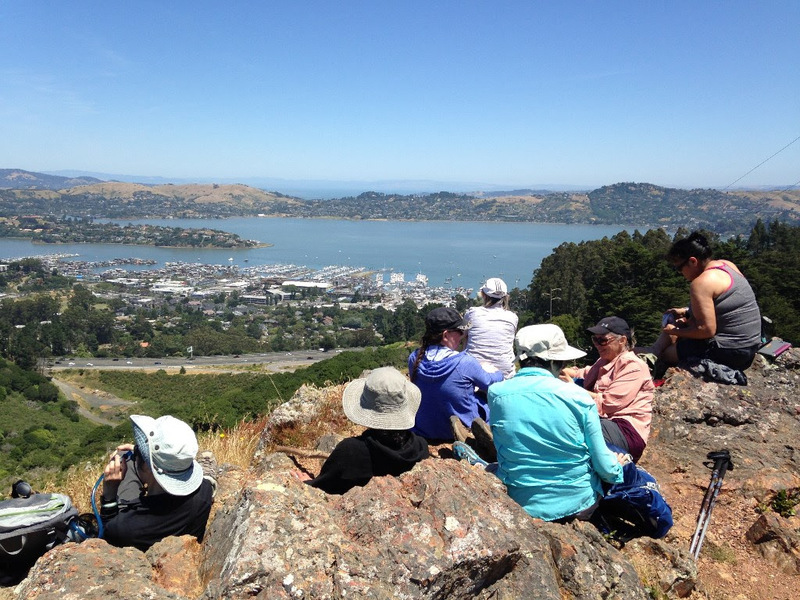 Saturday, February 17, 10:30 a.m.
Join a walk along Richardson’s Bay to Tiburon with wonderful views of San Francisco and the Golden Gate. Total walk is 9 miles. 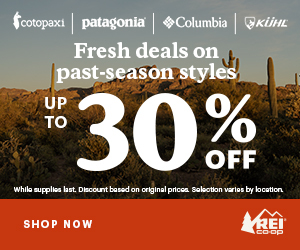 No trekking poles needed, as most of the hike will be on flat pavement, and no worries about mud. Bring lunch and water. Looking across to Richardson’s Bay and Tiburon (right) from above Marin City. Monday, February 19, 8:30 a.m. -12:30 p.m. I went on the hike twice and highly recommend it for Camino training. I observed that most people on these hikes don’t bring trekking poles. Pilgrims, there are some steep parts at the end, so if you have poles, bring them. Here’s a highlight video I made. As you can see, it is a dog-friendly hike, as long as your dog is friendly and can handle hills. Sundays, Feb 25, Mar 4 & 11, 1:30 – 3:30 p.m.
Leaving soon on your Camino and need to learn some Spanish basics? Or perhaps you already know some Spanish and just need a refresher and some practice? In any case, here is an opportunity to increase your awareness of the Spanish language and to help make your Camino and the transition into Spanish culture a more familiar and comfortable one. 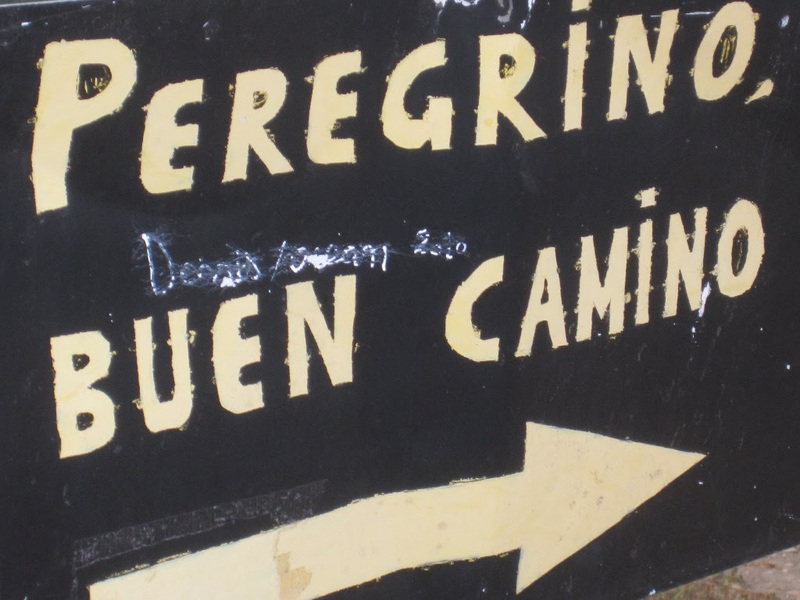 The universal pilgrim greeting (in Spanish) on a sign outside of Santo Domingo on the Camino Francés. Photo courtesy of Guy Joaquin. Wed. February 28th 5-7 p.m. Check out the menu. Technically, their Happy Hour is 4-6 p.m., but just show up when you can. And for those who don’t imbibe, there are non-alcoholic beverages, so everyone is welcome to enjoy the pilgrim camaraderie. At this particular restaurant, you order and pay at the counter, then servers bring the orders to the table. Look for the event on our Peregrinos Northern California Facebook group to RSVP online, or just show up. If you have a restaurant to recommend for a future Happy Hour, let me know! For the month of February, I’ll feature Camino love stories on the Love, Camino Style page. I certainly respect the premise of what happens on the Camino stays on the Camino. However, love is a splendid thing that should be celebrated. Has the Camino provided you with more than just a long walk? If you have a Camino love story to share, email me or use the form below. Photos and video links welcome. Join us after next month’s Lake Merritt walk for a narrated slide program with Camino veterans Susan and Ralph Alcorn. View images of these beautiful, historic, and exciting trails and learn more about the similarities and differences between the Francés, Norte and Primitivo routes. The Alcorns completed their 700-mile Camino Norte and Primitivo walks during 2015-2016. From their experiences came Susan‘s new book, Healing Miles: Gifts from the Camino Norte and Primitivo, which is now available in paperback and Kindle versions. 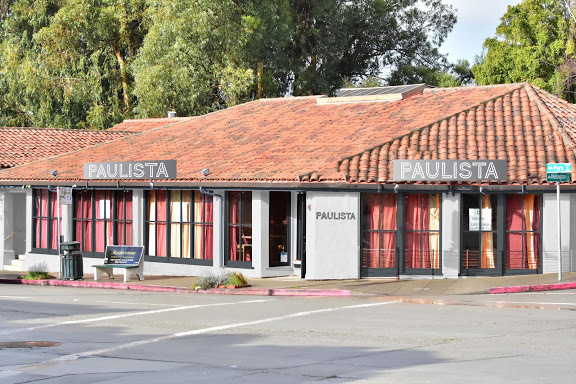 This presentation is open to those who attend the lunch at Barlago Italian Kitchen. RSVP required as space is limited. Look for the event on our Peregrinos Northern California Facebook group to RSVP online, or email Laurie@caminoprovides.com. You can find all posts linked from this page: Camino Inglés 2017 Stages. My motivation to complete this series was to include it in a presentation that I gave at my church on January 17th. I shared some of the Camino’s background, history, pilgrim lifestyle, after-effects, as well as tips I learned about short Caminos. By introducing the Camino to some newbies, I was able to educate people who have been curious about it, and inspire a few women who have been afraid to walk alone. I found that writing and presenting about the Camino over the last few months extended the joy of walking it! I still have stories to share about my three days in Santiago and an impromptu trip to Finisterre, so stay tuned for new posts. The rainbow shell design was inspired by the concept of chakras, which was an important part of my journey with yoga and healing over the last year. I am continuing with the chakras theme for 2018 by highlighting the root chakra color at the base of the shell. Learn more.